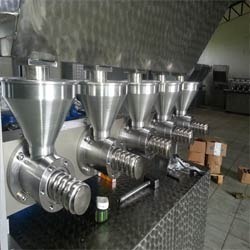 We are a leading Exporter of palm kernel oil mill, pre-pressing oil milling plants, screw presses plants, expeller oil milling plants and expelling plants from Hyderabad, India. 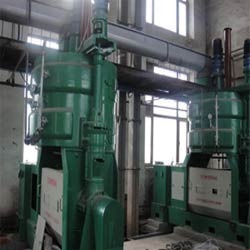 We are among the leading names in the industry, offering Pre-Pressing Oil Milling Plants to our revered customers. This plant enables extraction of crude oil by mechanical pressing. These plants are applicable wherein the refining process is carried out on a very large scale. With its high capacity and energy efficiency, this plant proves to be highly cost effective for the customers. The offered plant involves an easy installation process. 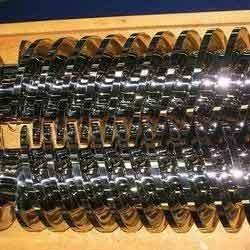 We are engaged in offering Screw PressesPlants to our esteemed customers. These plants are utilized for the extraction of oil from cake and are characterized by an immaculate design. These plants are highly regarded for their modular structure, easy installation, and minimal maintenance requirements. We offer these screw presses in several specifications to suit the various requirements of the customers. 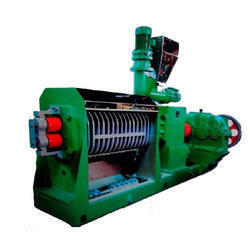 We are engaged in offering Expeller Oil Milling Plants to our valuable customers. These plants are utilized for the extraction of oil from oil seeds. The offered machines enable maximum possible extraction through pressing of the subjected seeds. These plants are easy to install and offer optimal performance to the customers. Designed to provide long term service, these plants are highly regarded by the customers. We are among the industry veterans offering Expelling Plants to our valued customers. These plants have a very high capacity and carries out its operations in a cost effective manner. The offered machines can be manufactured as per the customers’ detailed specifications. 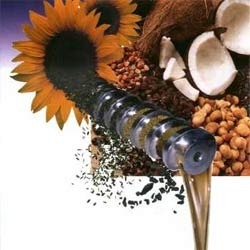 Utilized for the production of both edible and non-edible oils, these machines are highly demanded in the market. The offered machines can be availed by the customers at competitive prices. Looking for Oil Milling Plants ?